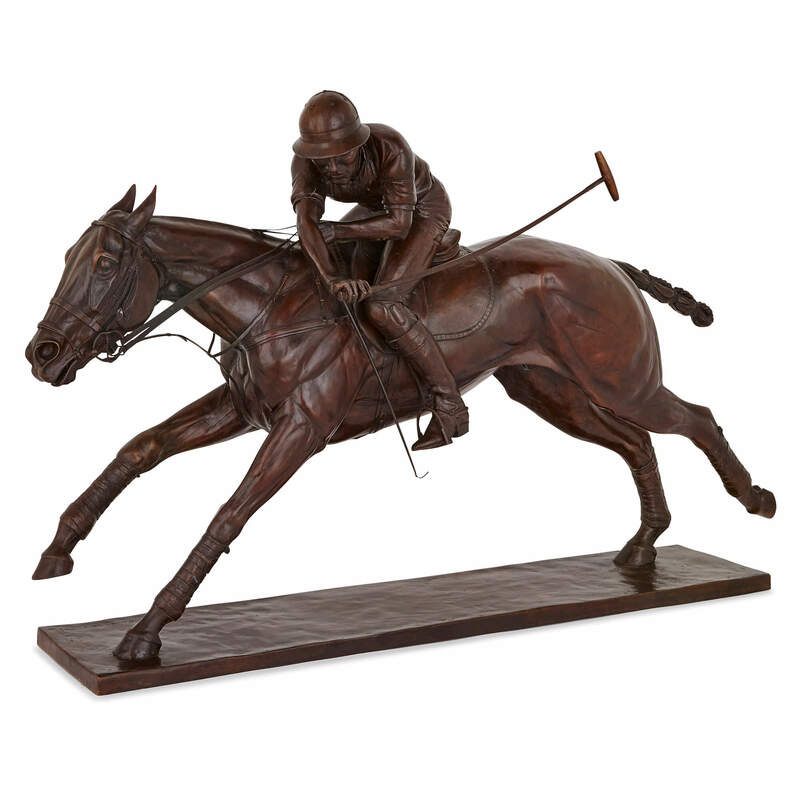 This masterfully executed and unusually large British bronze sculpture of a polo player on horseback is alive with truly palpable dynamism and energy. 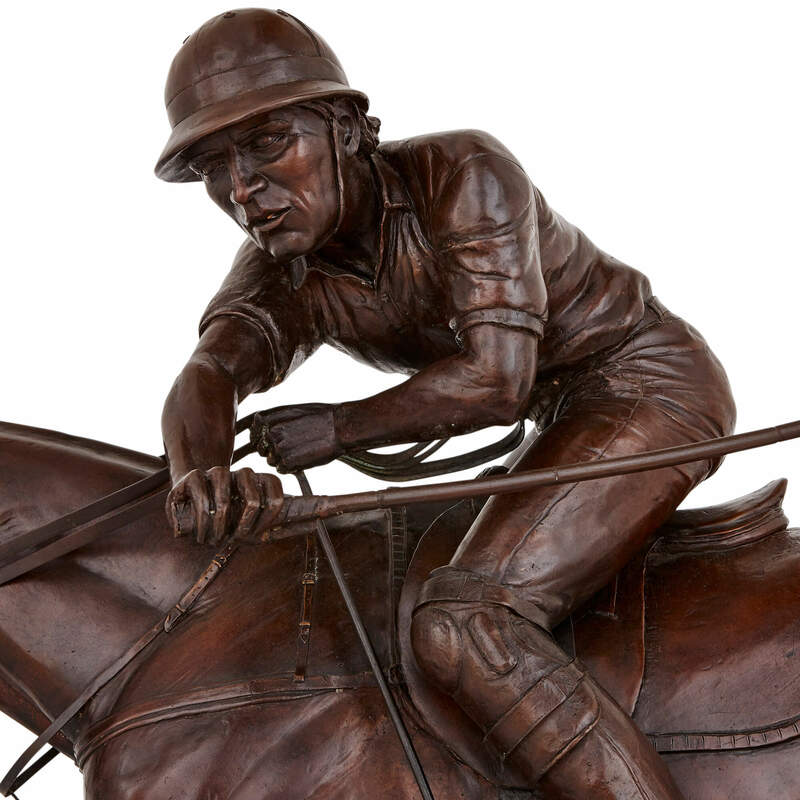 Juliet Cursham, the artist behind this fine and large equestrian sculpture, is a well-known British sculptor whose oeuvre includes a large number of equestrian and animal sculptures which reflect her lifelong involvement with polo and hunting. 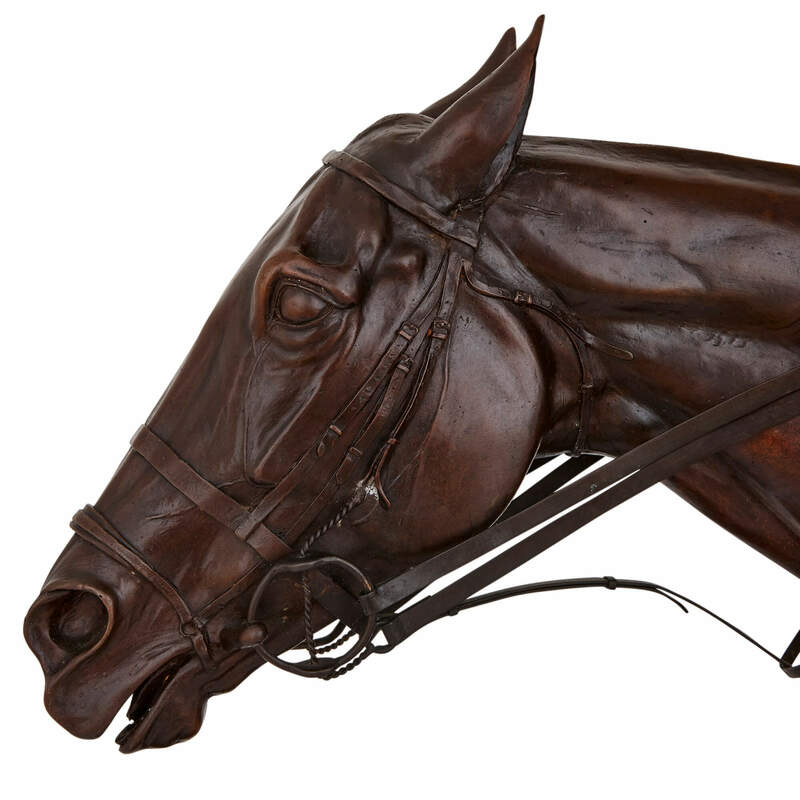 Cursham's work can be found all over the world, including very important lifesize sculptures in Beijing, Hong Kong, Germany and Leicester, her hometown. Cursham is the recipient of many awards, including the Sladmore Gallery prize for sculpture in 1993 and 1995. 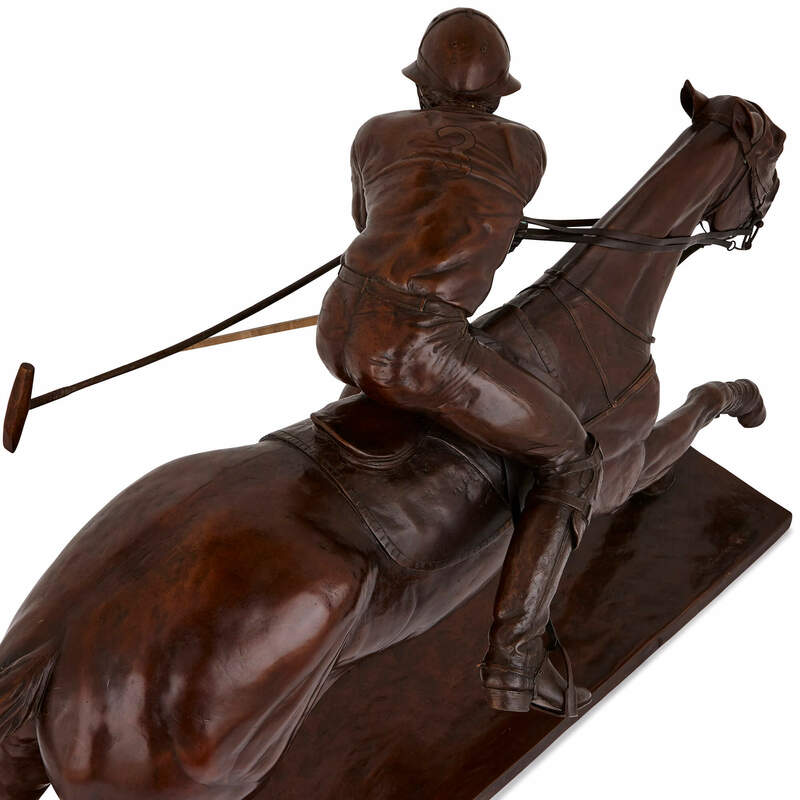 This present sculpture, titled 'Nearside-Forehand', won the British Sporting Art Trust Prize which was awarded by the Society of Equestrian Artists Exhibition in 2016. 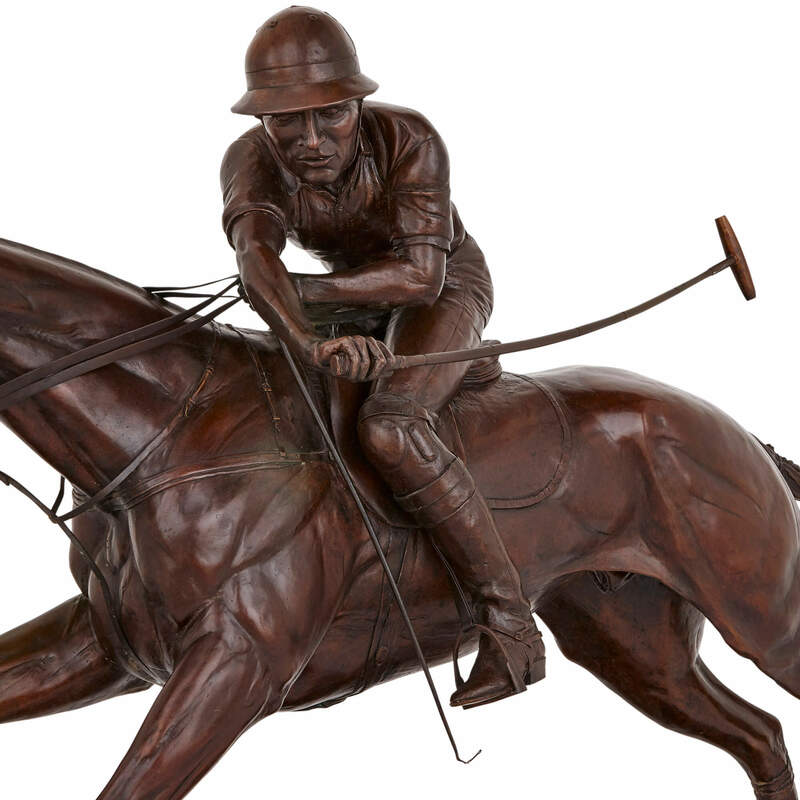 The sculpture depicts an astonishingly lifelike representation of a polo player on horseback as he leans forward, across the body of the horse, to strike a ball with a forehand. 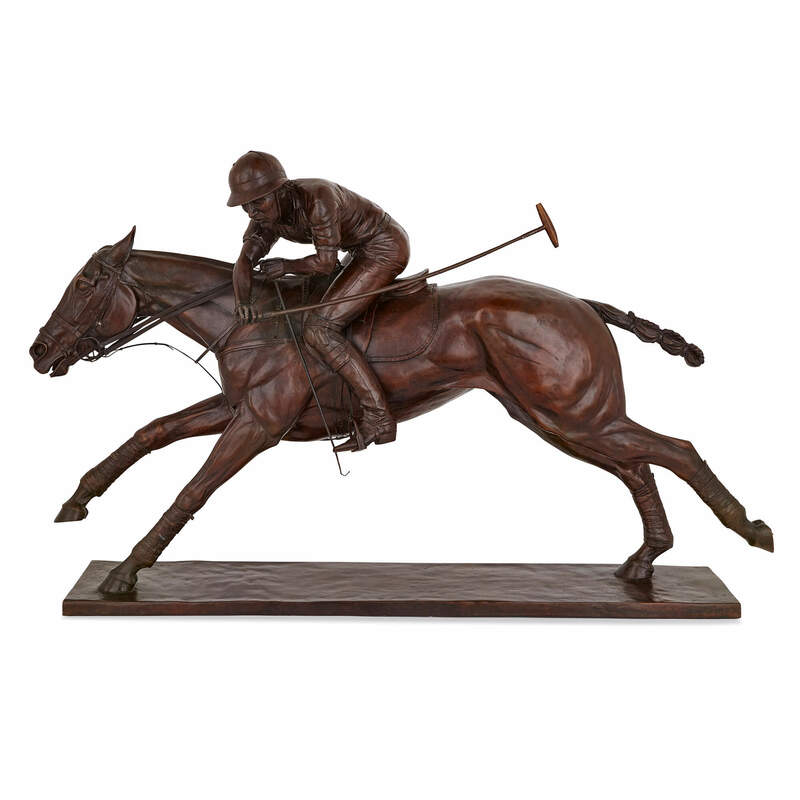 Both the rider and the horse are taut with athletic energy, with the expert casting of this sculpture highlighting the muscular flesh of the horse. 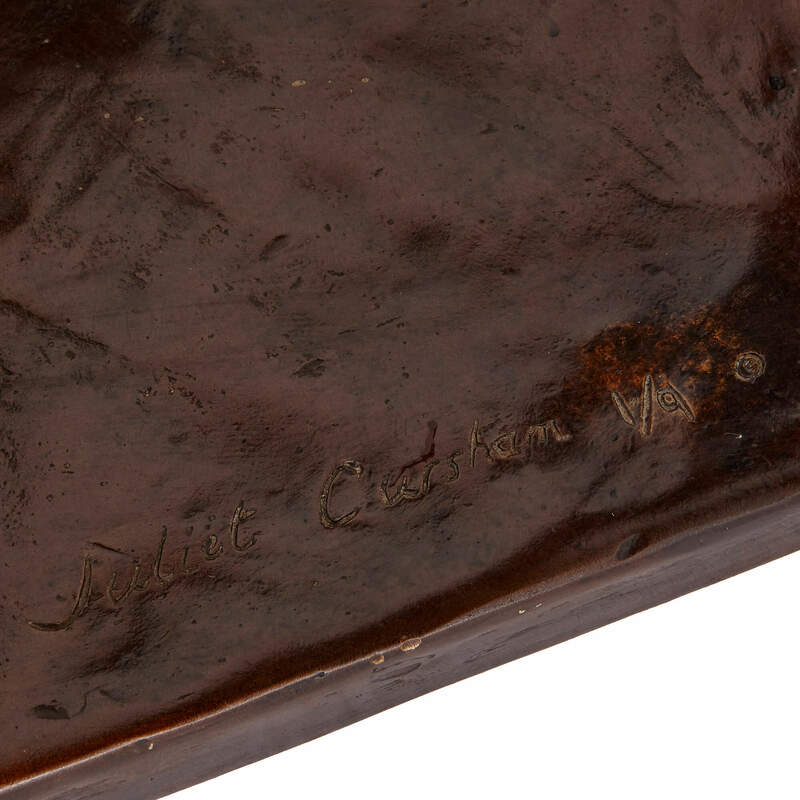 The work is set onto a rectangular bronze base, which is signed 'Juliet Cursham.